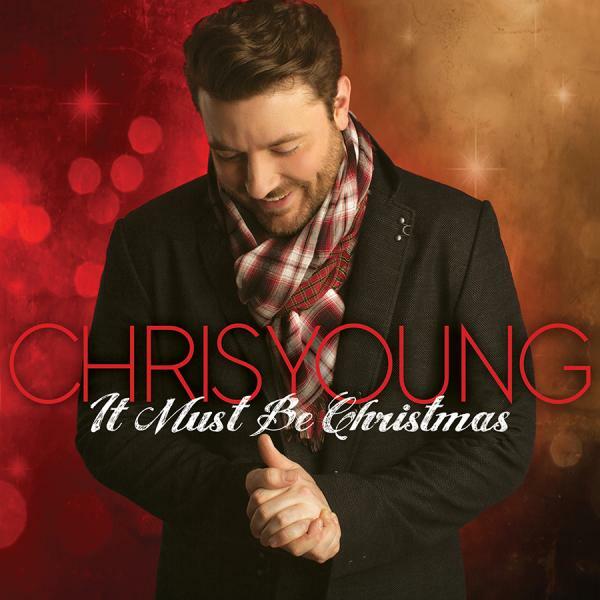 CMA Musical Event of the Year nominee CHRIS YOUNG is already celebrating the season as he gears up for the release of It Must Be Christmas this Friday, October 14. He’s also helping to make the holidays a little brighter for disadvantaged children as he teams up with Toys For Tots, a 69-year national charitable program run by the U.S. Marine Corps Reserve, to collect donations along his headlining “I’m Comin’ Over Tour” stops November 17 – December 10. 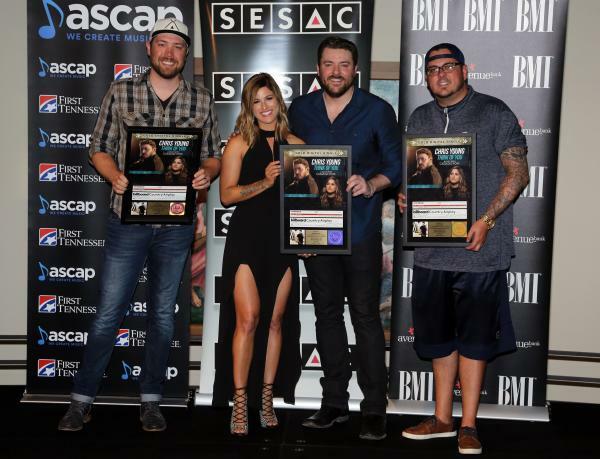 Duet partners Chris Young and Cassadee Pope teamed up again last night to celebrate the chart-topping success of their RIAA Gold certified single, “Think Of You,” during a No. 1 party from Nashville’s Country Music Hall of Fame. Hundreds of music industry fans joined the pair, along with Young’s (BMI) co-writers Corey Crowder (ASCAP) and Josh Hoge (SESAC). “Think Of You” marks Young’s eighth single to hit the top of the charts and Pope’s very first No. 1 single as an artist. 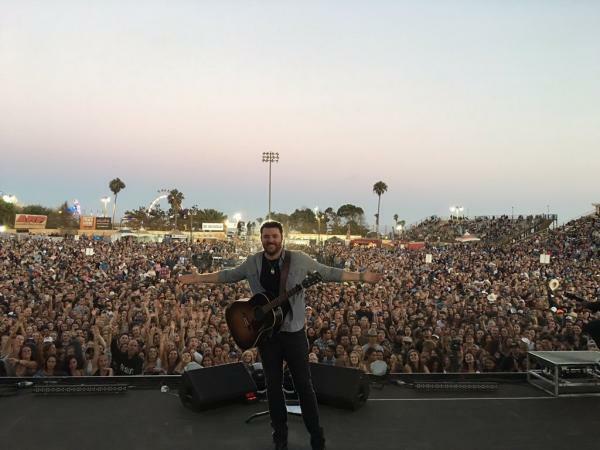 Chris Young headlined a string of three sold-out shows across California last week, kicking off the run at the Ventura County Fair where the nightly concert quickly found itself at capacity, with the biggest crowds this year and a line out the gates to get a glimpse of the show. 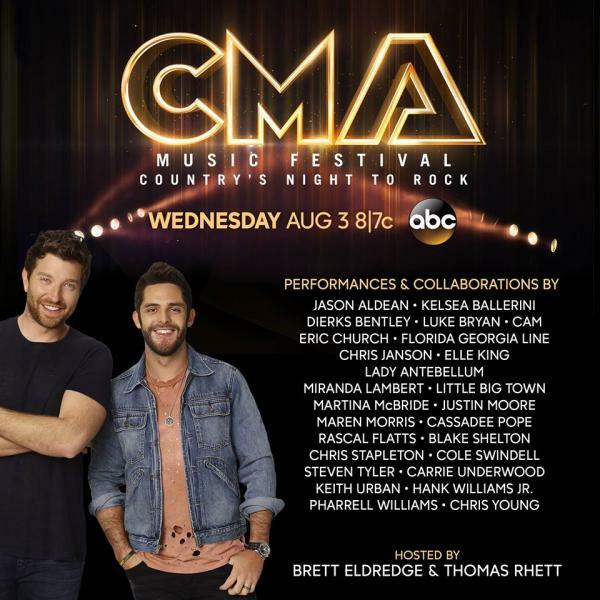 Country Music’s hottest stars will take over primetime with the biggest concert event on television this summer when the ABC Television Network airs “CMA Music Festival: Country's Night to Rock" on Wednesday, Aug. 3 (8:00-11:00 PM/ET). Brett Eldredge and Thomas Rhett host the three-hour special that brings Country Music’s most storied Festival to a national television audience. “CMA Music Festival: Country’s Night to Rock” will be executive-produced by Robert Deaton. 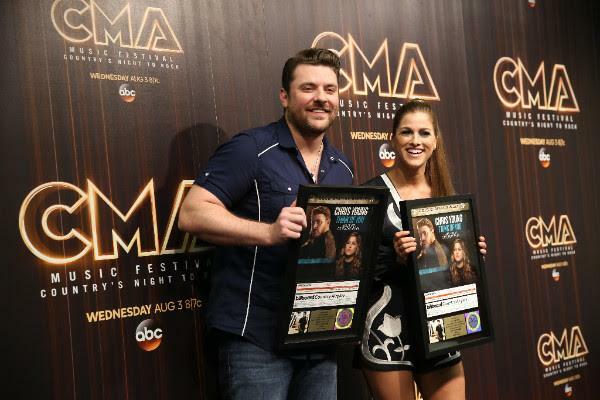 Over the weekend Chris Young surprised his duet partner, Cassadee Pope, with a Gold plaque for their chart-topping single “Think Of You.” That same night Young thrilled the sold-out crowds at Nissan Stadium during CMA Music Festival in Nashville when he welcomed Pope to the stage for a sizzling performance of their hit duet. Brett Eldredge and Chris Young with Cassadee Pope to perform on the 51st Academy of Country Music Awards, Country Music's Party of the Year Broadcasts live from the MGM Grand Garden Arena in Las Vegas Sunday, April 3, 2016 on the CBS Television Network. 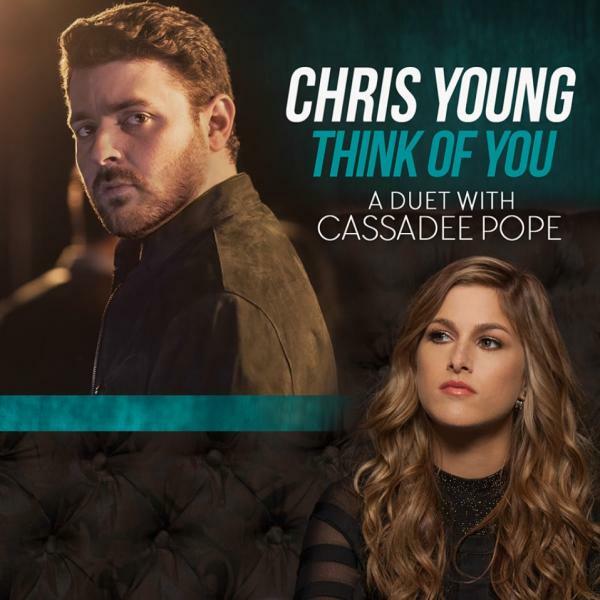 RCA Nashville hitmaker Chris Young follows the three-week #1 success of his RIAA Gold-certified smash, “I’m Comin’ Over,” with the release of “Think Of You,” a duet with award-winning Republic Nashville rising star and The Voice winner, Cassadee Pope. 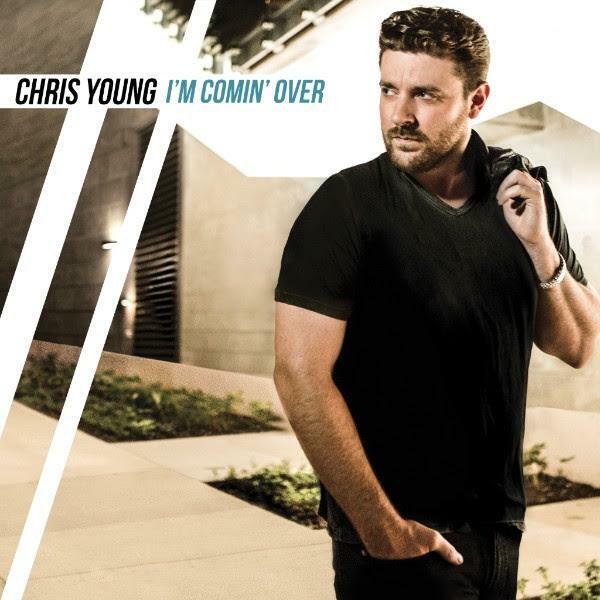 Featured on his chart-topping I’m Comin’ Over album, “Think Of You” was co-written by Young, Corey Crowder, and Josh Hoge and is available at country radio today for an official airplay impact date of January 25. 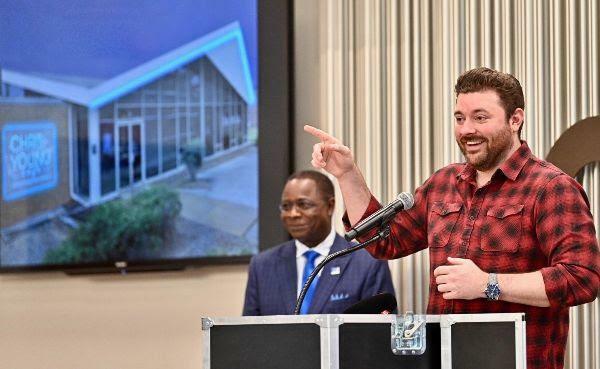 RCA Nashville’s Chris Young is adding to the accolades for his chart-topping fifth studio album, I’m Comin’ Over, as the title track lead single celebrates a third week at #1. "I'm Comin' Over" leaps into the #1 position on Mediabase’s Country Aircheck chart, while reigning for a third week atop the Billboard Top Country Airplay chart. This is not the first time Young has laid claim to the top spot for three or more weeks - "The Man I Want To Be" achieved the same feat in 2010. 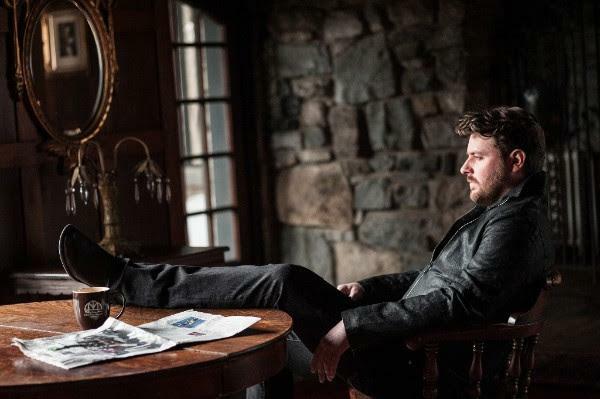 RCA Nashville’s Chris Young earned the seventh #1 single of his career last week with the RIAA Gold-certified title track to his I’m Comin’ Over album, and now, his first co-produced collection debuts at #1 on Billboard’s Top Country Albums chart, with first-week sales of 57,147 according to Nielsen Music. 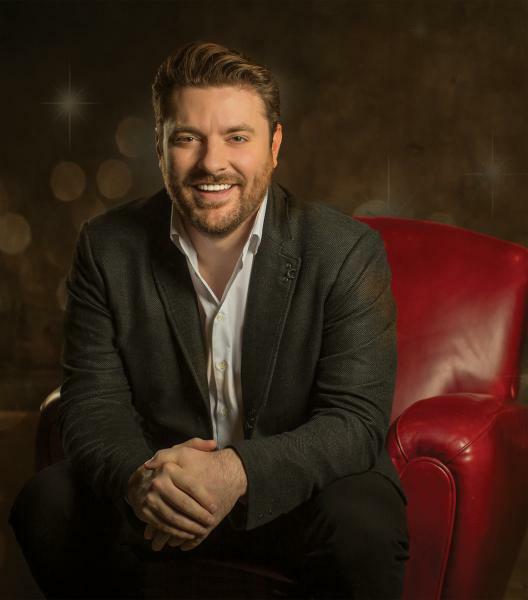 With just days to go until the release of his new album I’m Comin’ Over on November 13, fans are invited to make a date with Chris Young in the new year and join him on the 2016 “I’m Comin’ Over” Tour, presented by AEG Live. 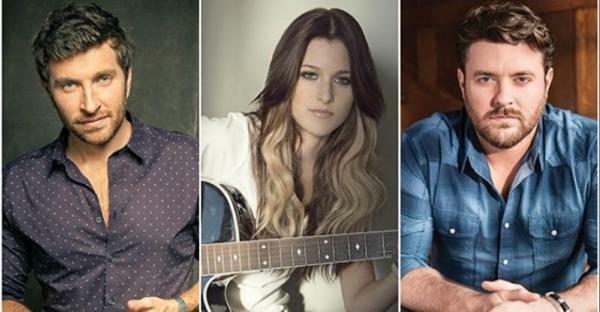 Young will extend his headlining tour into 2016, inviting powerhouse vocalist and “Think Of You” duet partner Cassadee Pope to join as special guest, opening thirteen shows beginning January 21. 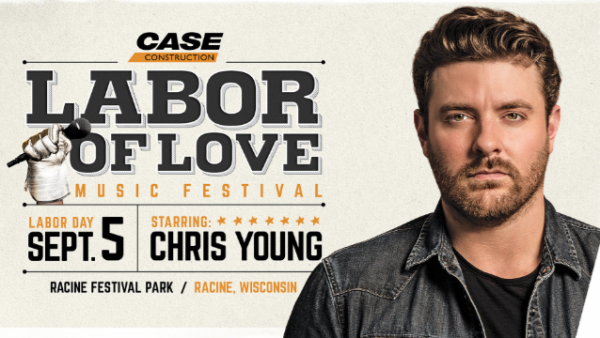 Just days after returning stateside following the sold-out European leg of his “I’m Comin’ Over” World Tour, RCA Records artist Chris Young headlined a hometown show at Nashville’s Ascend Amphitheater to kick off his U.S. concert tour in front of a crowd of over 5,000 fans. 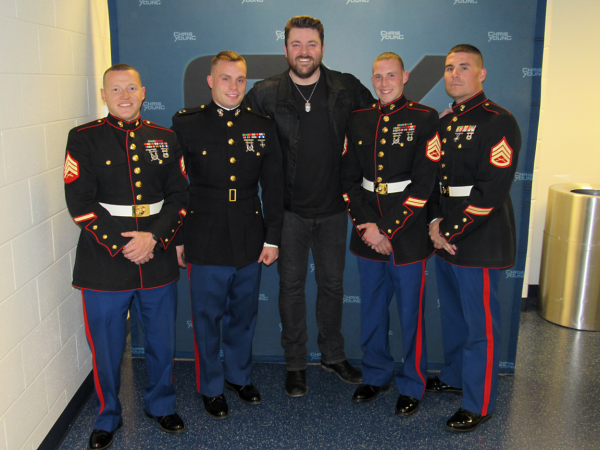 British Country Music Award International Act of the Year CHRIS YOUNG has quickly become an international ambassador for Country Music as he returns to Europe for his “I’m Comin’ Over” World Tour. 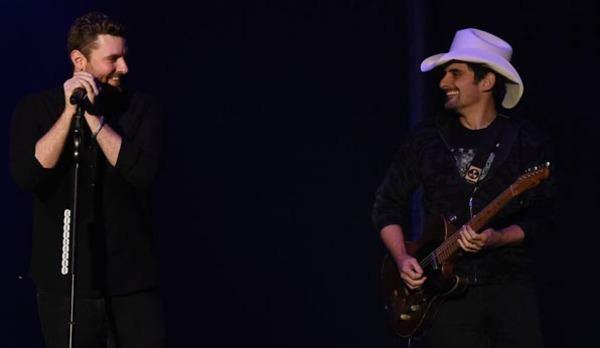 Young, “one of country music’s most reliable hitmakers,” (USA Today) is headlining nine sold-out shows in England, Germany, Ireland, Scotland, Sweden and Switzerland through September 24. 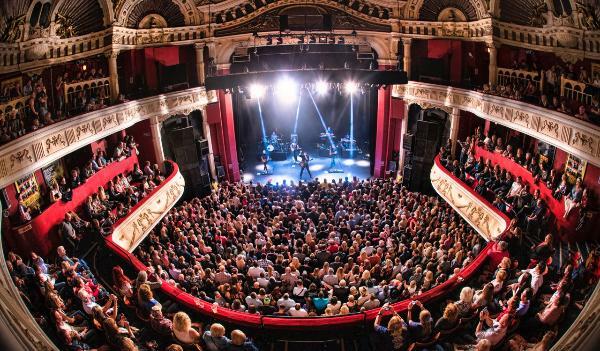 Earlier this year he played to audiences in Australia, South Korea and Japan. 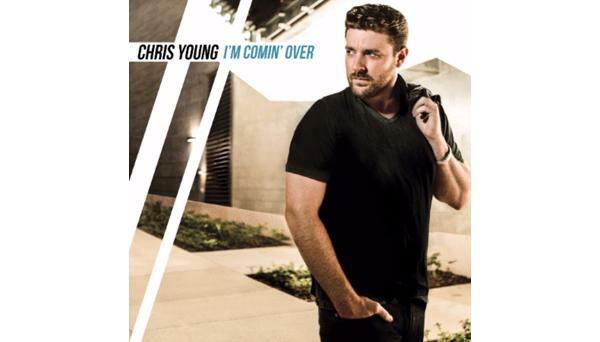 Chris Young’s latest smash single “I’m Comin’ Over” has quickly become the fastest selling single of his career. With more than 5.5 million views for the steamy new music video and nearing RIAA Gold certification, the title track single will lead off his fifth studio album, I’m Comin’ Over, releasing November 13.